Whereas most birds incubate their eggs simply by sitting on them, thereby directly harnessing their own body heat, those fowl-like species known as the megapodes are renowned for eschewing this tried and trusted method in favour of much more remarkable and ingenious versions. Some megapodes, for example, excavate pits in the ground, within which they then bury their eggs in order for them to be hatched by whatever external sources of heat are present - including the sun's rays, subterranean steam, and even volcanic activity. Others, conversely, erect huge mounds composed of dead plant material, inside which they deposit their eggs and allow the heat generated internally by the rotting vegetation to incubate them. Today's megapodes are little more than dwarfs in comparison with certain fossil species. If, as currently believed, the ancestors of today’s aboriginals reached Australia no later than 45,000-55,000 years ago, they would have been familiar with the Australian giant megapode Progura [=Leipoa] gallinacea. Although generally similar in overall shape, this very robust species was approximately half as large again as today’s biggest megapodes. These are Australia's closely-related but only 2-ft-long mallee fowl Leipoa ocellata and its slightly larger brush turkey Alectura lathami - this latter vulture-headed species creates mounds up to 9 ft in height. Leg bones of an even larger, hitherto-unknown form of megapode have been discovered in a Polynesian midden on one of Fiji’s tiniest islands, demonstrating that it too was clearly contemporary with early humans. Yet even these sizeable species pale into insignificance in comparison with a truly spectacular relative, recently exposed as a bona fide prehistoric survivor. To the east of Australia is the island of New Caledonia, a former French territory whose southernmost tip looks out towards a very much smaller isle nearby, the Isle of Pines. In 1976, the Bulletin de la Société d'Études Historiques de Nouvelle Calédonie published an extremely interesting paper by historian Dr Paul Griscelli, who revealed that, according to oral traditions of the Houailou people (one of the isle's native Melanesian tribes), this minuscule speck of land once harboured an enormous and extraordinary bird. Their ancestors called it the du, and described it as a huge, aggressive bird with red plumage and a star-shaped bony casque on its head. Although unable to fly, it could run very swiftly, usually with its wings outstretched. It laid a single egg, which took four months to hatch (from November's close to April's onset), but it did not incubate the egg itself. As expected with any item of mythology, there were certain aspects that were unquestionably fictional. In particular, it was asserted that the du practised a most unlikely cuckoo-like deception to avoid brooding its egg - by laying it in a hollow banyan tree used as a lair by some form of giant lizard, in order for the lizard to incubate it instead! In stark contrast to such tall tales as this, however, the fundamental, mainstream details regarding the du are precise and sober, indicating that these may have stemmed from sightings long ago of some real creature. Even so, bearing in mind that many fabulous birds of monstrous form with no claim whatsoever to a basis in truth do occur in numerous myths and folktales around the world, it is nonetheless very possible that the du would have been dismissed as nothing more than just another example of such a fantasy animal, especially as there appeared to be no way of pursuing the matter further. Fortunately, the du's seemingly imminent descent into obscurity was not to be. While preparing the final draft of his paper, Griscelli received some staggering news. Excavating fossils at Kanumera, on the Isle of Pines in 1974, Paris lecturer Dr J. Dubois had disinterred some bones that had since been identified by Professor François Poplin of Paris's Natural History Museum as limb portions from a gigantic bird! Relics of the du? 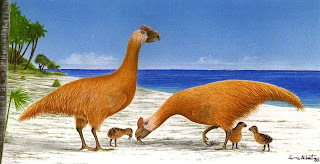 In addition, when the bones were dated by radiocarbon techniques, they were found to be no older than 3,500 years, and as humans were known to have reached the Isle of Pines prior to this period they would have been well acquainted with the birds. 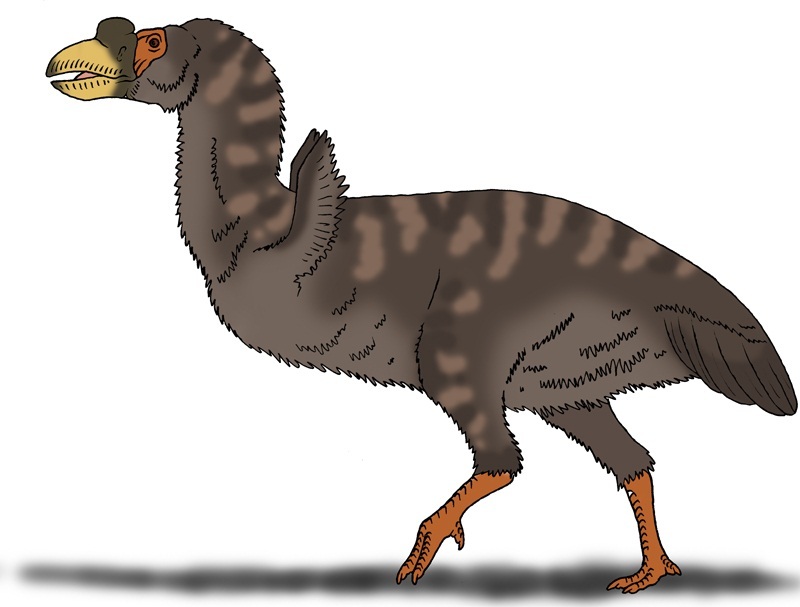 The dimensions of this vanished bird's remains have shown that it was as large as the modern-day emu (5-6 ft tall), and flightless. Indeed, after studying the bones, in 1980 Poplin published a scientific description of this dramatic species (Comptes Rendus), named by him Sylviornis neocaledoniae, in which he announced that, like the emu, it too may have been a ratite – i.e. one of those widely-dispersed species of giant flightless bird that also include the ostrich, rheas, and cassowaries, as well as the extinct moas, and elephant birds. 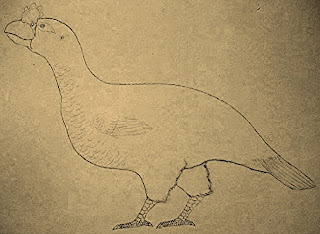 Three years later, however, following further researches, Poplin changed his mind and announced that Sylviornis was actually an immense megapode (Comptes Rendus). Moreover, as he and co-worker Cécile Mourer-Chauviré discussed in another paper (Geobios, February 1985), there is an intriguing supplementary source of evidence favouring this identity, contained within the Houailou's mythology - for, according to their oral traditions, the du did not incubate its egg. Unfortunately, however, if we exclude from serious consideration their lizard-hatching legend, their folklore offers no clue as to the egg’s resulting fate. Nevertheless, as Mourer-Chauviré and Poplin pointed out just a few months later (La Recherche, September 1985), researchers seeking the answer to this riddle on the Isle of Pines might not have to look very far for it, because if Poplin's later hypothesis is correct, the riddle's answer is readily visible in many parts of the isle, and also on New Caledonia. Both of these islands bear a great number of very large mound-like structures, measuring up to 150 ft in diameter and as much as 15 ft in height. Constructed from materials present in their immediate surroundings (soil, particles of iron oxide, coral debris, sometimes black silicon as well), their precise nature has never been conclusively ascertained - despite a century of archaeological investigations. In the meantime, it has simply been assumed that they are ancient tumuli (burial mounds) erected by the islands' early human occupants. However, no human remains have been found within them. Hence Mourer-Chauviré and Poplin postulated that they may really be egg-incubator mounds of Sylviornis, the last visible evidence of this mighty species' former existence. 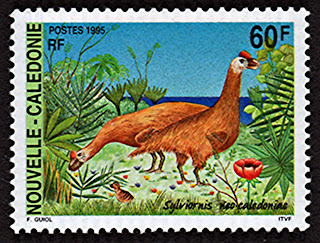 If ultimately verified, this identification would not only solve a long-standing topographical mystery but also demonstrate that Sylviornis existed on New Caledonia itself, not just on the Isle of Pines. 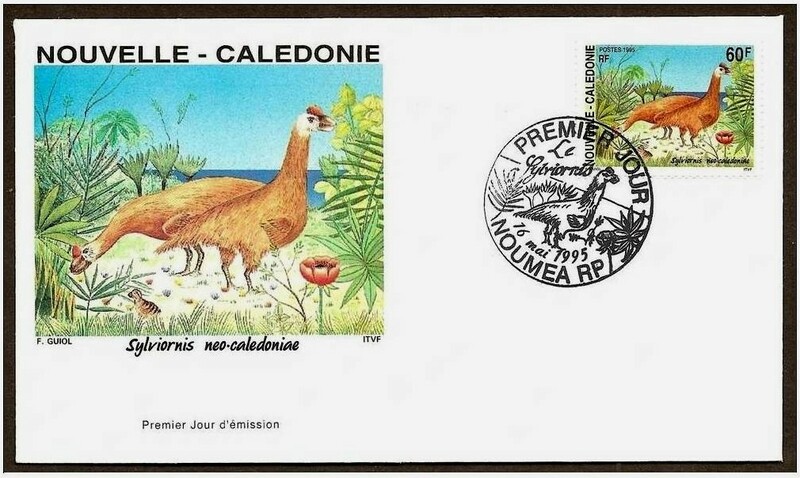 Speaking of New Caledonia, it is possible that a much smaller megapode once hailed from this island too. 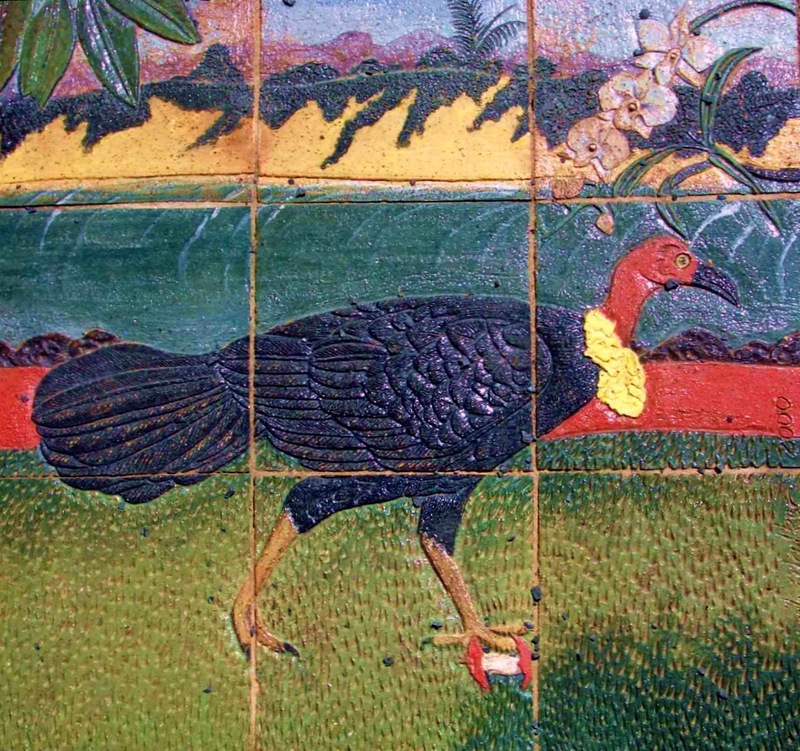 When Captain James Cook’s second voyage reached New Caledonia in 1774, one of its members recorded seeing a small, bare-legged form of gallinaceous bird that could well have been a megapode. Certainly, fossil bones of a comparably-sized megapode of relatively recent date (geologically speaking) have been unearthed here; their species has been named Megapodius molestructor. Returning to the du/Sylviornis issue, there is no doubt that a mound-erecting megapode the size of an emu would have been a stunning sight, and it is one that may have persisted for much longer than originally believed. According to Dr Jean-Christophe Balouet in his book Extinct Species of the World (1990), this species is thought by some researchers to have survived into early historical times - until at least the 3rd Century AD (though more conservative estimates date its extinction at around 150 BC). Even so, it had vanished long before its island domain was reached by Europeans - but why? 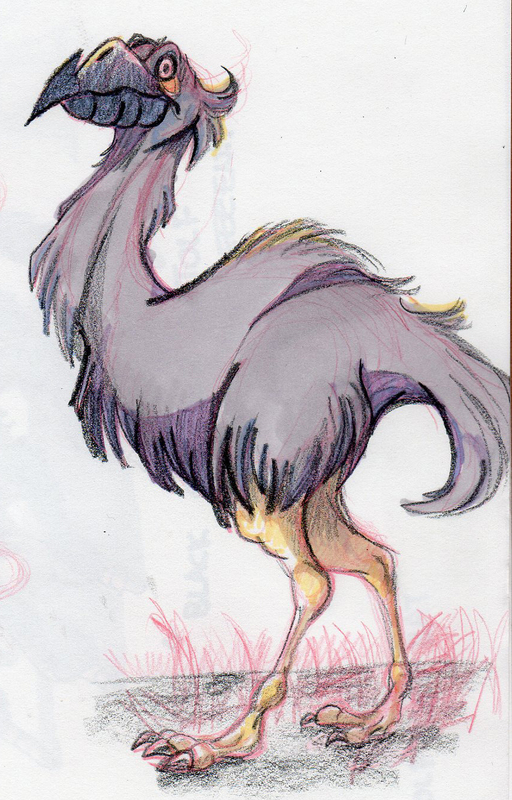 After all, during his researches into Houailou mythology, Griscelli found that for at least a time the du had been deemed by their ancestors to be little less than an avian deity - a sacred creature of reverence. 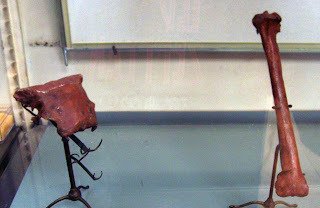 The punishment for killing a du was death, and an insignia in the shape of its stellate casque was a symbol of great esteem, worn only by the most powerful of tribal chiefs. But, like all things, customs change, especially when eroded by changing priorities. On as tiny an island as the Isle of Pines, food was scarcely plentiful, particularly for entire human tribes, and, not surprisingly, cannibalism was prevalent in those early days of human occupation. It could only be a matter of time, therefore, before the awe-inspired taboos protecting the du would be weakened and violated by the more practical realisation that these enormous, robust birds were actually an abundant, readily accessible source of top-quality meat. And so it was that this colossal bird's once-exalted status plummeted precipitously, and prosaically - from the du as demi-god, to the du as dinner! There could only be one outcome. Long before Westerners could ever receive the opportunity of witnessing this magnificent bird, Sylviornis had been exterminated. 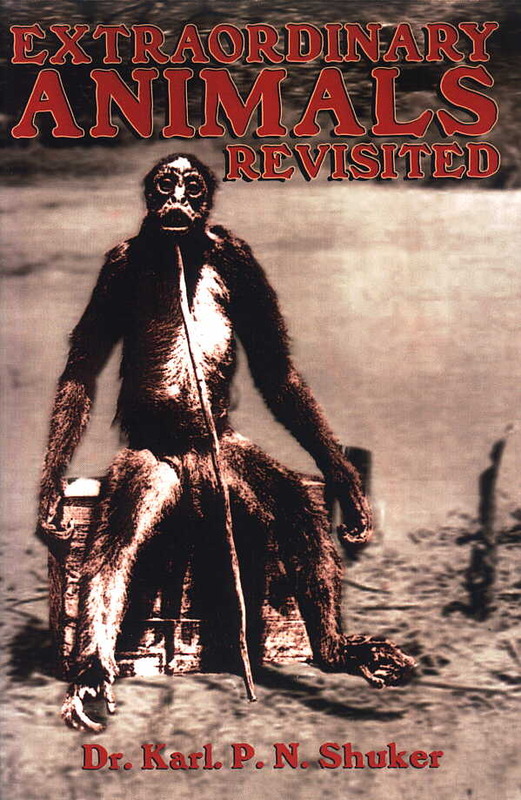 For many centuries it would survive merely as a curious native legend, its morphology and lifestyle preserved only by verbal transmission through successive generations of its annihilators' descendants - until the day when its bones would finally be disinterred, and the reality of the Isle of Pines' bygone feathered deity at last be confirmed beyond any shadow of doubt. From mythical du to extinct Sylviornis - clearly not a resurrection . . . or is it? Tantalisingly, while visiting New Caledonia in 1991, Danish zoologist Lars Thomas discovered that the native people speak of the du as if it were still alive today, and describe it accurately. Racial memories - or Sylviornis survival? 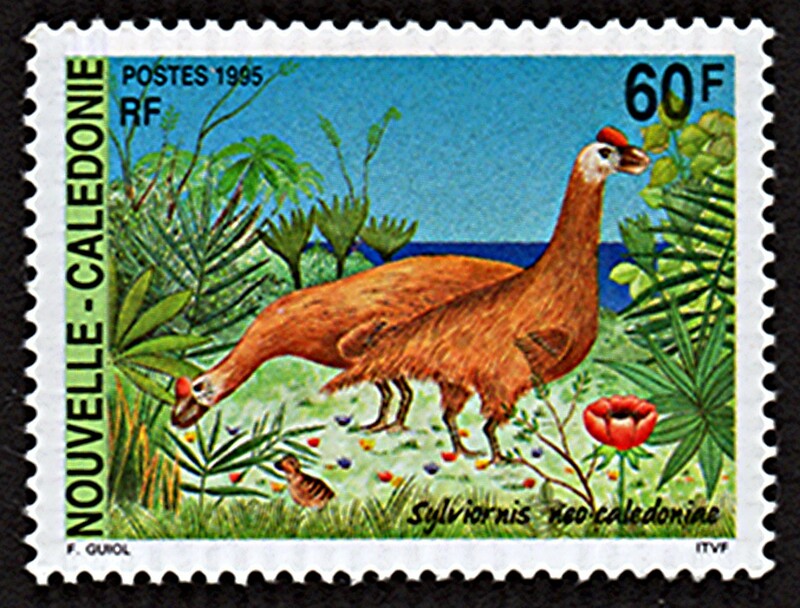 Finally: In 2005, Mourer-Chauviré and Balouet published a detailed revisionary Sylviornis neocaledoniae paper in which they reclassified this enigmatic mound-building species, deciding that it was sufficiently distinct from all other megapodes to warrant the creation of an entirely new taxonomic family to accommodate it – Sylviornithidae. This ShukerNature post is excerpted from my book Extraordinary Animals Revisited (CFZ Press: Bideford, 2007). Just a detail: New Caledonia is not a former French territory, it still is a French territory. In fact, New Caledonia is NOT a French territory any longer (which is why I refer to it as a former French territory). It used to be, beginning in 1946, but as a result of the 1998 Nouméa Accord it gained a special status (statut particulier or statut original) in 1999. 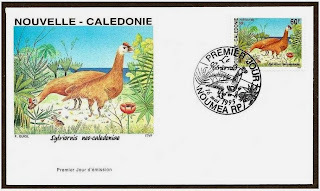 A New Caledonian citizenship was established, and a gradual transfer of power from the French state to New Caledonia itself was begun, to last from 15 to 20 years. Consequently, the current official status of New Caledonia is a Special Collectivity of France, not a French territory. other Internet sources say the Sylviornis to be a Phasianidae rather than a megapode. 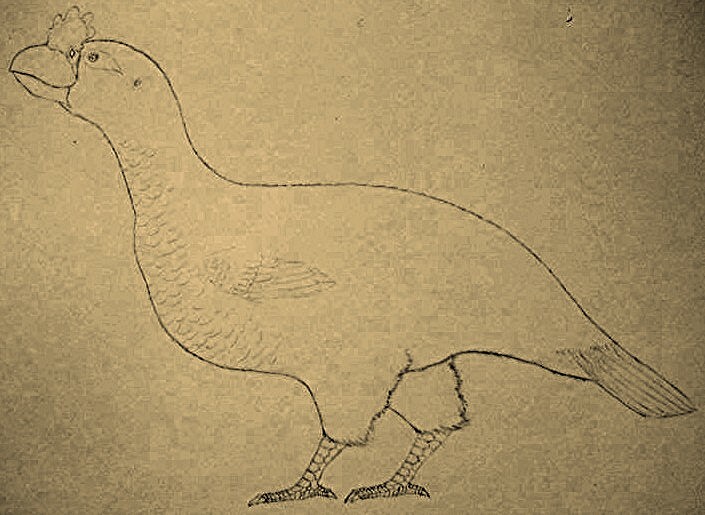 As I state in the final paragraph of my blog post, Sylviornis has now been reclassified as being separate enough from all other birds to warrant its very own taxonomic family, distinct from the megapodes. 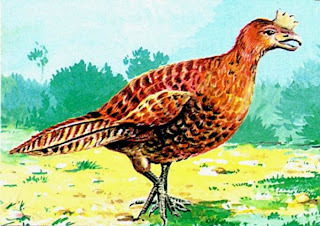 So it is neither a megapode nor a pheasant. Mourer-Chauviré, Cécile & Balouet, J. C. (2005): Description of the skull of the genus Sylviornis Poplin, 1980 (Aves, Galliformes, Sylviornithidae new family), a giant extinct bird from the Holocene of New Caledonia. In: Alcover, J. A. & Bover, P. (eds. ): Proceedings of the International Symposium "Insular Vertebrate Evolution: the Palaeontological Approach". Monografies de la Societat d’Història Natural de les Balears 12: 205-118. Savez vous quant sont arrivé les sylviornis en Nouvelle-Calédonie? 5000 av JC?